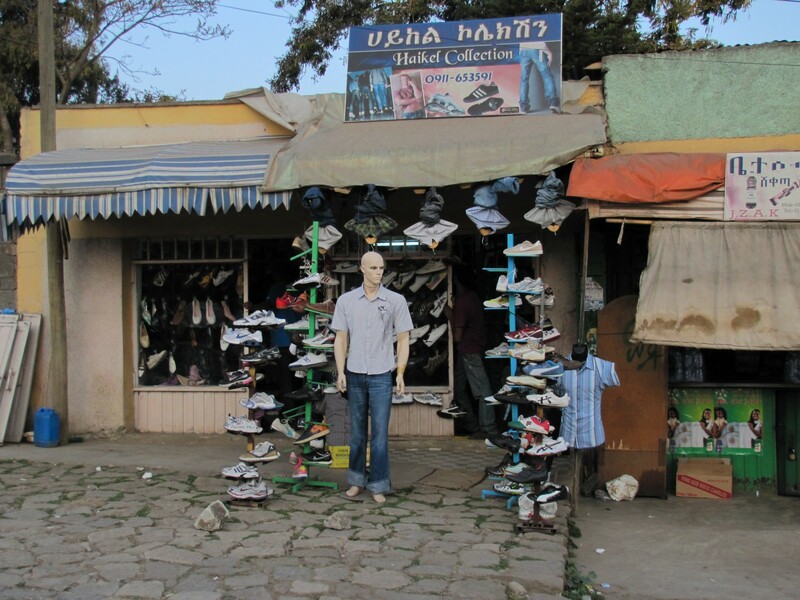 These photos were taken in suburban Addis Ababa in Ethiopia during an evening walk during our stay in that city last December. Like many African and Asian cities, Addis Ababa in Ethiopia is an intriguing place to go shopping. While we didn’t do all that much shopping while visiting our daughter, we saw enough to be fascinated by the differences between Africa and Australia, but also interested in the similarities. 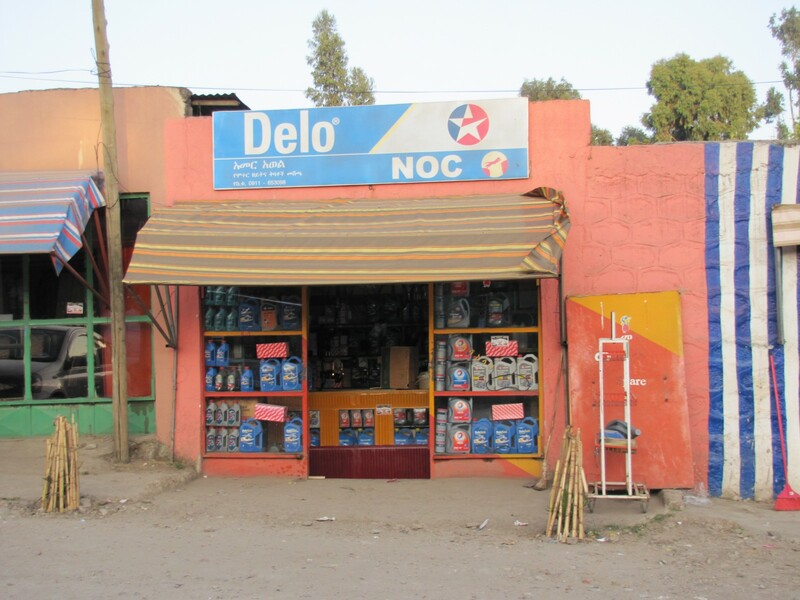 In today’s post I am featuring three kinds of shops: a fruit shop, a clothing shop and a shop selling just car oil (though it might have also been selling car parts; I didn’t go inside). 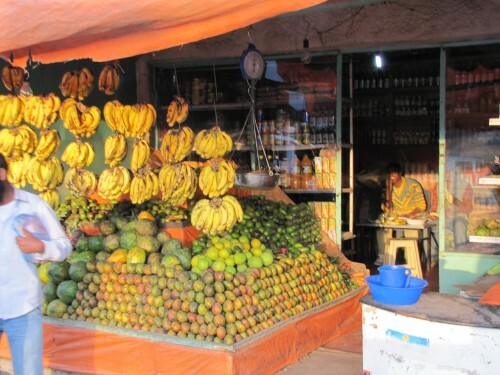 Like in Australia, shop keepers often spill their wares out onto the footpath (though the footpath shown above is quite a rarity, being actually a reasonably smooth surface). On the final evening of our stay in Addis Ababa we went for walk in a nearby street. This was a typical suburban street with active markets on the footpaths and many shops open with their wares spilling out onto the footpath. I actually use the term “footpath” loosely; there was no real path, or smooth walking surface. 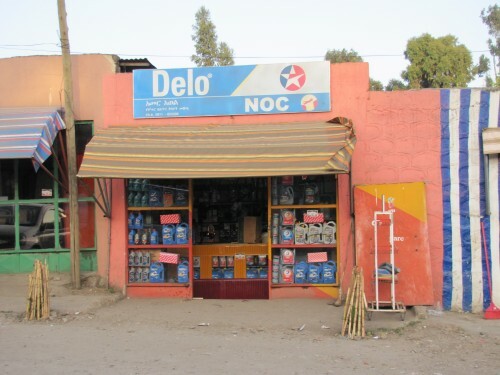 I am referring only to the space between the shop frontages and the road. Because these “footpaths” were often rocky, uneven, rutted, muddy and unsuitable for easy walking, so most people walked on the road. The constant hooting of car and truck horns resulted from waves of pedestrians clogging up the road’s surface. One of businesses which intrigued my wife is shown in the above photo. It shows a man sewing on an old treadle sewing machine. On an earlier trip in Nepal I saw this activity in many places. Another cottage industry we saw in a number of areas of Addis Ababa was furniture making, shown in the photo below. 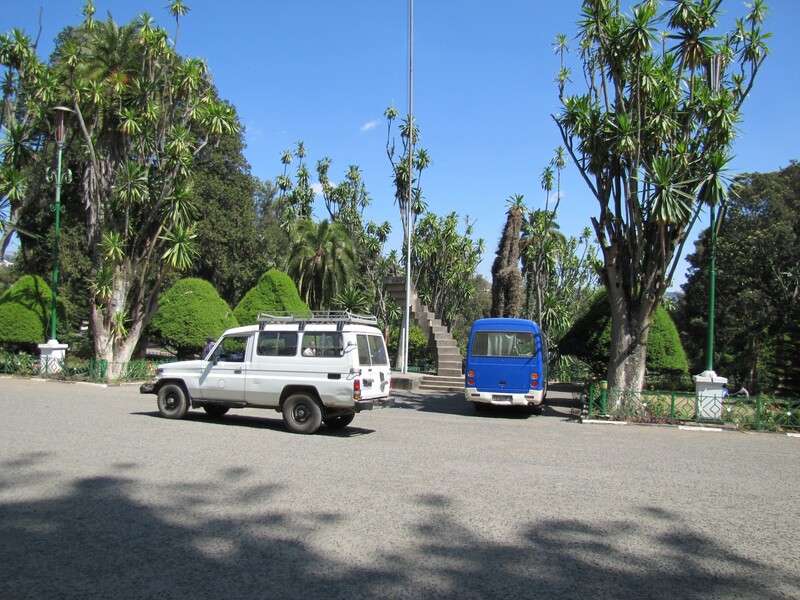 On our return from visiting Entoto Natural Park near Addis Ababa we directed our driver to find an art gallery we wanted to visit. With a little difficulty we found the building in a back street, only to find that it had closed some time ago. 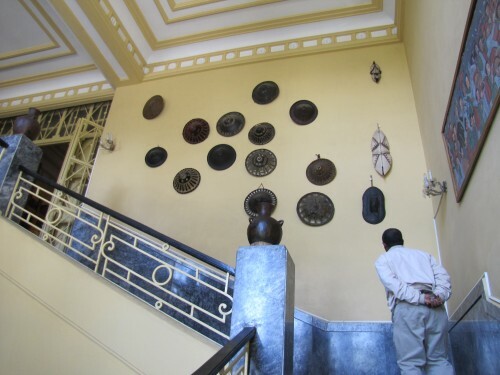 Our driver suggested a good alternative – the Ethnological Museum. The above photo shows part of the entrance into the museum, but after that point I was not allowed to take any photos. We found that that museum was a fascinating place to visit and were sorry we only had about an hour to spend there. A whole day visit would be advisable to anyone wishing to see this great display of cultural and artistic aspects of Ethiopia. If that is not possible, even a two or three hours would be recommended. An very interesting part of the display is the section dedicated to Emperor Hailie Selassi. He used the building as his palace during the time he led the country. I think it is quite fitting to have this building dedicated to his important place in Ethiopian history. Our elderly guide was once a personal servant of the emperor himself. 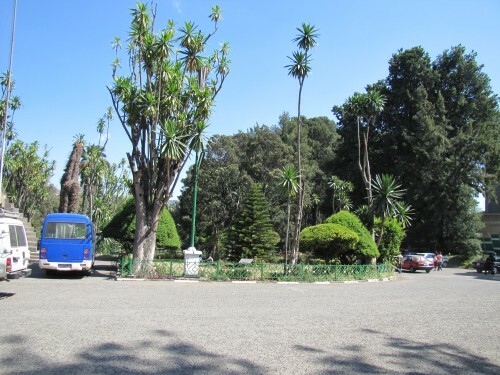 The old palace and museum is situated in the midst of the Addis Ababa University. While we didn’t explore the grounds of the university, I did take the photos shown below while we were there.